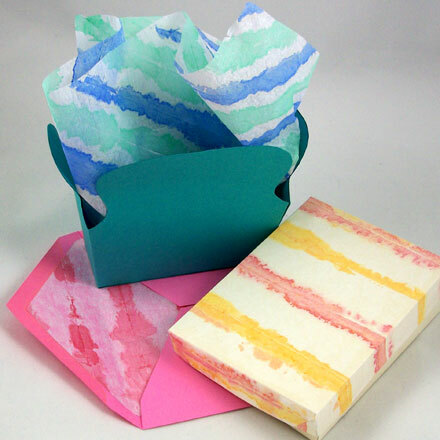 These crafts feature basic paper decorating skills involving the use of paint applied to paper. You can use these techniques to decorate paper for craft projects, greeting cards and gift wrapping. The projects range in difficulty from VERY EASY to EASY. Crayon Batik Friday Fun - Learn how to imitate on paper the fabric decorating technique from Java called batik. The process uses crayons to color a design on paper, that is then wadded and painted with black to make the cracks that are typical to batiks. You can use the resulting pictures to make cards, decorate notebook covers, or hang on the wall. 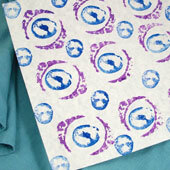 Bubble Print Paper Friday Fun - Use paint and bubble blowing liquid to make this kid-safe alternative for marbled paper. With this technique you will make pastel prints of soap bubbles on paper that then can be used for other craft projects. Vegetable and Fruit Printing Friday Fun - Learn how to make simple relief prints using vegetables (and fruits). 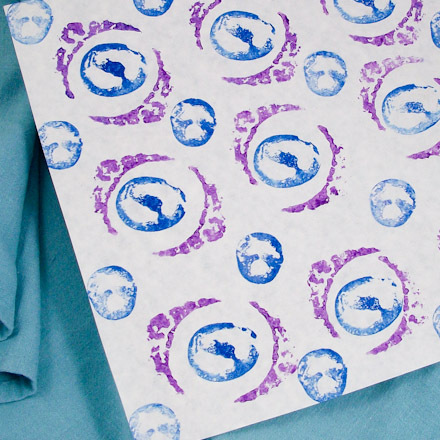 This printing technique is simple enough for very young children, while being versatile enough for older children and adults. The project features the classic potato print, as well as, vegetables and fruits that are a bit less traditional in printing. Sponge Stamps and Art Friday Fun - Do you know that ordinary kitchen sponges can be used to make stamps? Children will want to make a variety of stamps to create artistic masterpieces for display in the refrigerator door gallery. Follow these simple instructions and you will be able to make stamps of your own design in minutes. Tip: Use painted tissue paper in gift wrapping and to line envelopes.